On June 5, a mother and her young child went to the emergency room after the mother noticed something green coming up the straw of her child’s Juicy Juice box. When the (unexpired) juice box was cut open, it was filled with green mold. 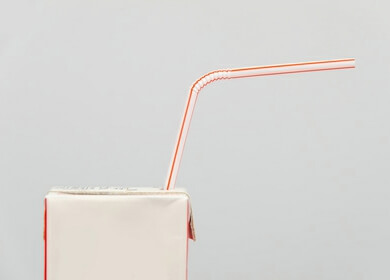 The attending physician, Dr. Kathleen Berchelmann, M.D., told the readers of her blog that witnessing this incident made her decide not to buy juice boxes for her children anymore. The mold was found to be more disgusting than harmful, but can cause upset stomachs in children, including nausea and diarrhea. Unfortunately, this incident is not uncommon; the internet is filled with similar reports of juice boxes well within the expiration date found to be moldy. Even microscopic holes in the packaging, too small to cause a leak, can let in air, leading to mold as well as fermentation. Essentially, the unlucky kid drinking these juice boxes is downing an alcoholic beverage. Dr. Berchelmann explains that the high sugar content alone is enough reason for parents to avoid giving their children commercial fruit juices. She says that sugar actually causes the release of natural opiates, which stimulates cravings for more sugar, beginning a vicious cycle. On top of possible mold and high sugar levels, the California Bay Area’s Environmental Law Foundation (ELF) found that many brands of food and drinks marketed to children contained unsafe levels of lead. The ELF studied samples from 146 national brands, including apple and grape juices, fruit cocktail, packaged pears and peaches, and baby foods. One hundred and twenty-five of these samples contained levels of lead higher than the amount allowed by California’s Safe Drinking Water and Toxic Enforcement Act of 1986. The levels deemed ‘safe’ by the Act are 0.5 micrograms per serving. The Mayo Clinic adds that lead poisoning is difficult to detect and may not be apparent until a dangerous amount of lead has already been accumulated in the body. Fortunately, if you feed your children fresh, organic fruits and make your own freshly-squeezed juice at home, you will not have to worry about these potential hazards. If your kids love juice, it may be high time to invest in a juicer, and not rely on the convenience of a juice box; it comes at a price. 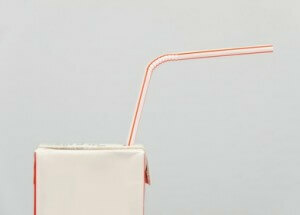 Hey Buddy!, I found this information for you: "Lead and Green Mold Found in Juice Boxes". Here is the website link: https://www.thealternativedaily.com/lead-and-green-mold-found-in-juice-boxes/. Thank you.